What did I ever do to you ? Top: King Monkey exhibiting facial contortions. In prostitution, street prostitutes are often called 'streetwalkers', while their customers are referred to as 'tricks' or 'johns'. Servicing the customers is described as 'turning tricks' (This same outline informs the Bono lyric, "And you're turning tricks with your crucifix / You're a star..."). Second row: A monkey in the street dancing for tips recalls the organ grinder of Ride On ("Ride on lady I'm your monkey. Yes the organ grinder's gettin' wet."). 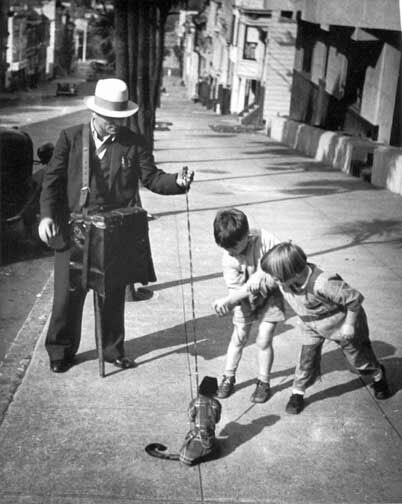 The organ grinder would often have as a companion a white-headed Capuchin monkey to perform tricks and attract attention. The monkey would collect the money from the audience and sometimes other shiny objects that attracted his attention. 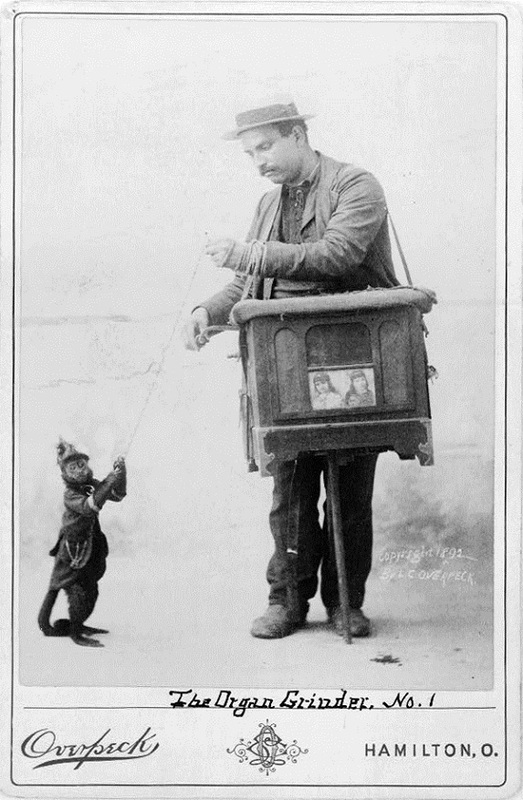 The image on the left from 1892 shows an organ grinder with his monkey on a chain; adjacent to this is a monkey performing to children. As initiator in the band, Squire was the man in charge ("A smack in the mouth would change your tune"), the organ grinder to Ian's 'monkey'. The organ grinder turns the handle to grind out a tune, and all the monkey has to do is dance to that tune. 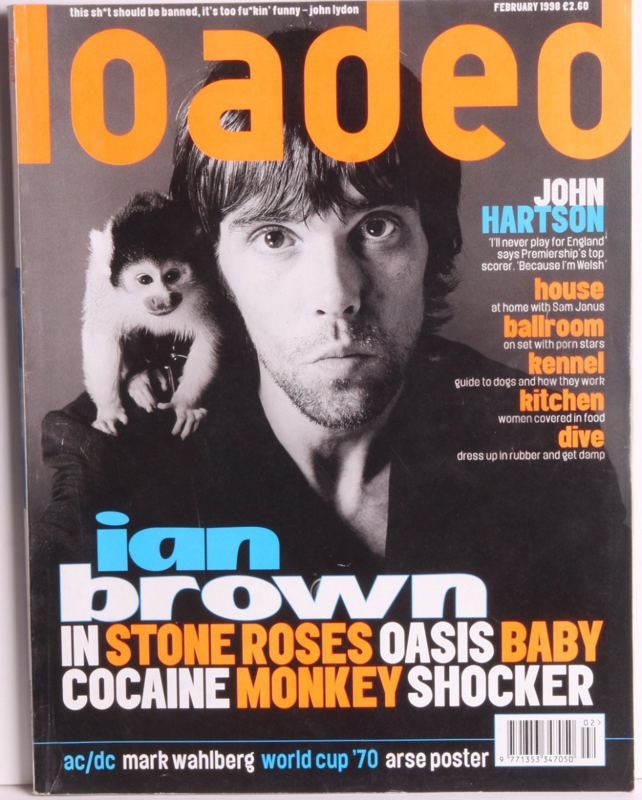 Ian Brown's monkey business could not attract clientele without John Squire; the leashed monkey could not make a move without the consent of his master. Penultimate & bottom rows: PLAY THAT MONKEY MUSIC WHITE BOY... 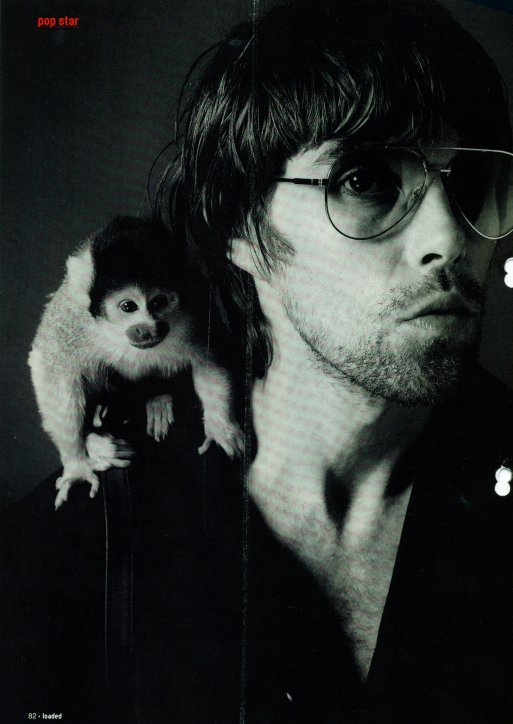 In a tell-all themed February 1998 Loaded exposé, Brown is seen posing with a Capuchin monkey, but it was Squire who had a monkey on his back in the strained Second Coming years. Squire 'carried' his flagging songwriting partner during that time and thus, felt that he had a 'monkey on his back' ("I've got to get you right off of my back..."). 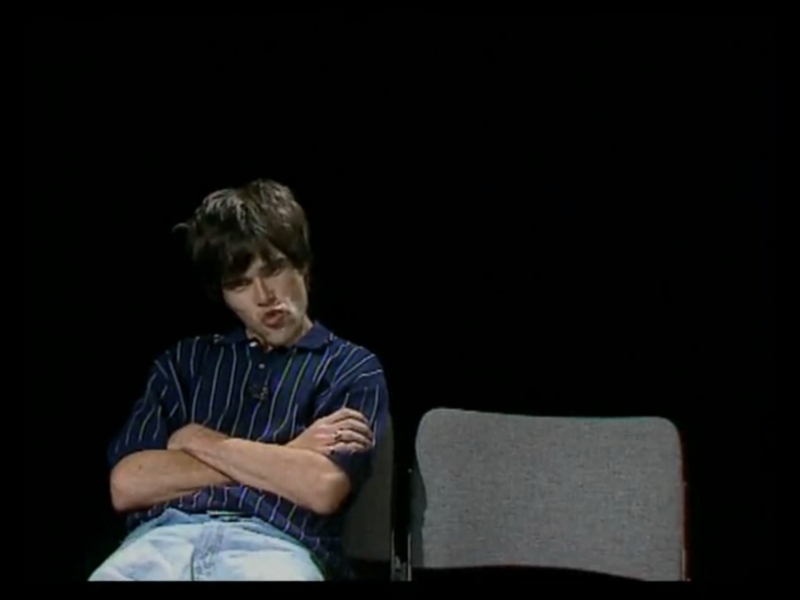 In interviews, Ian expresses regret at having performed what was effectively a 'John Squire songbook' on the Second Coming tour. 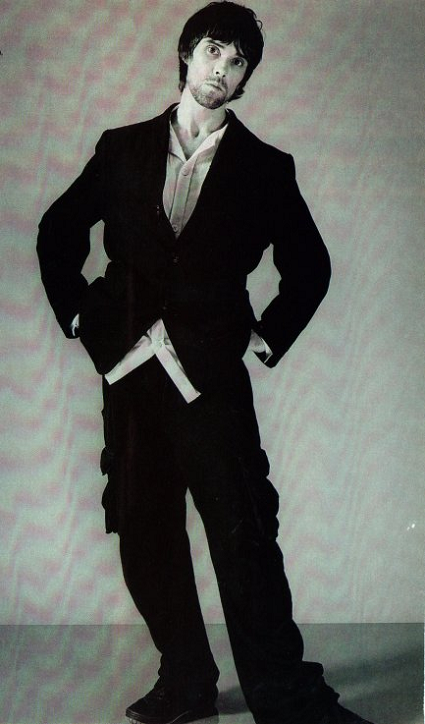 The singer commented to Clash magazine in September 2009, "Maybe if I could change one thing ... maybe I wouldn't have sung those songs for him." On a purely practical level, what else was Ian going to do to fill an hour at these shows, 'Straight To The Man: ten variations on a theme' ? In his persecutive portrayal of events, the monkey man is being a trifle too messianic for John's liking ("That crown of thorns suits ya son"). The caged bird, a symbol for the chained slave, is an image Maya Angelou uses throughout her work, and in this context, Squire knows why the caged bird sings ("Won't you be my slave ?"). The rocked-up folk waltz of Shine A Little Light - arguably the strongest track on the LP - borrows from the melody of Shine a Light by Spiritualized (Shine a Light by The Rolling Stones is another reference point here). 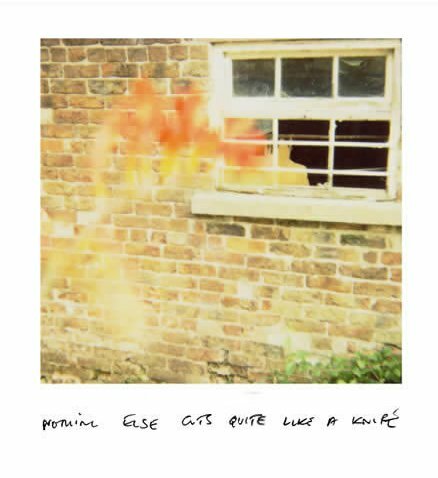 Left: 'Nothing Else Cuts Quite Like A Knife', a photograph by John Squire which features in the debut LP collage. 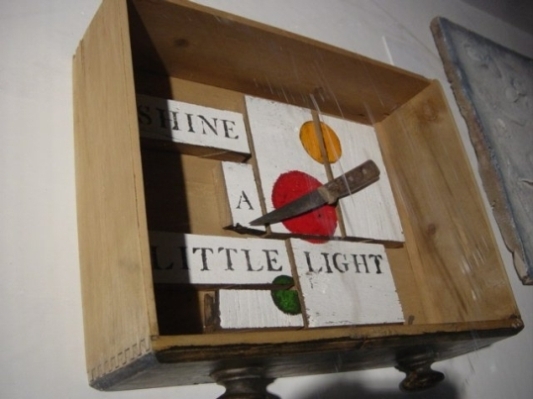 Right: 'Shine A Little Light' (oak blocks and acrylic in drawer, 16" x 20"), from the Manchester exhibition, May 2004.